A former President of the Nigerian Bar Association, Dr Olisa Agbakoba (SAN), has sued the Attorney General of the Federation, Mr Abubakar Malami (SAN), over the suspension of the Chief Justice of Nigeria, Justice Walter Onnoghen, by President Muhammadu Buhari. Buhari suspended Onnoghen as the CJN on January 25 over allegations of non-declaration of assets. The President immediately swore in Justice Tanko Muhammad to replace Onnoghen in an acting capacity. But Agbakoba, in his fresh suit before the Federal High Court in Lagos, said Onnoghen’s suspension by the President was illegal. He urged the court to overturn it. The second defendant in the suit is the National Judicial Council. The Senate had earlier filed a similar suit before the Supreme Court, contending that Onnoghen’s suspension by Buhari was not procedural as it did not have the imput of the two-thirds majority of the Senate. The Senate, however, withdrew the suit this week from the apex court, saying it would allow the NJC deal with the issues. 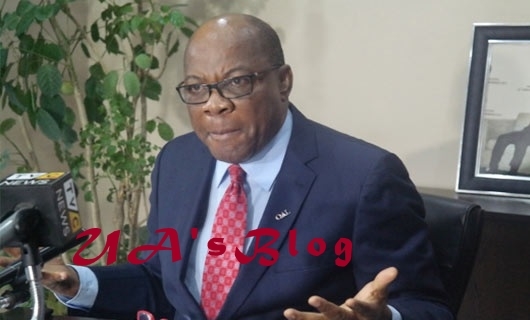 In an affidavit he filed in support of his suit, Agbakoba said, “I know that the Constitution of the Federal Republic of Nigeria 1999 provides for the removal of the Chief Justice of Nigeria and that the Chief Justice of Nigeria can only be removed based on the recommendation of the National Judicial Council or an address by the President supported by two-thirds majority of the Senate. “I am fully aware that contrary to the provisions of the Constitution, the President suspended the Chief Justice of Nigeria, Justice Walter Samuel Nkanu Onnoghen, based on an exparte order from the Code of Conduct Tribunal on the 25th of January 2019. “I am aware that the National Judicial Council will on February 11, 2019 determine petitions on the suspension of the Hon. Chief Justice of Nigeria, Justice Walter Samuel Nkanu Onnoghen, and the swearing-in of Hon. Justice Tanko Muhammad as the acting Chief Justice of Nigeria. “The decisions of the NJC are purely administrative. I believe it is in the public interest for the court to declare the law as relates to the suspension or removal of the Chief Justice of Nigeria.